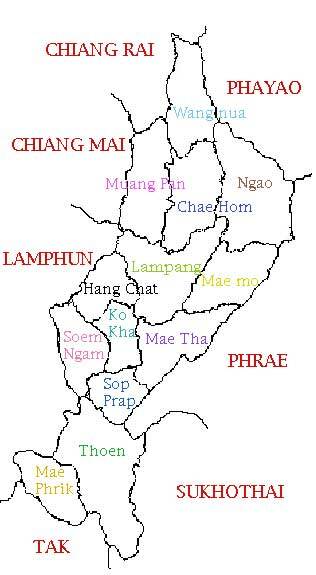 7 neighboring provinces as follow. Lampang Province is 268.80 meters above sea level. The area shape is long and narrow. Topography is generally a plateau with high mountains line from the North to the South and there is a river basin in the center of the province. 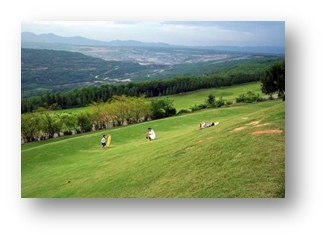 According to the physical characteristics of Geomorphology, Lampang province has an area of ​​plains surrounded by mountains. There is the longest and widest inland basin in the North called “Lampang Reservoir”. The topography is divided into three characters. Upper north of the province is high plateaus, mountains and dense forest which is full of precious wood such as the area of Muang Pan, Jae Hom, Wang Nuae, and Ngao district. 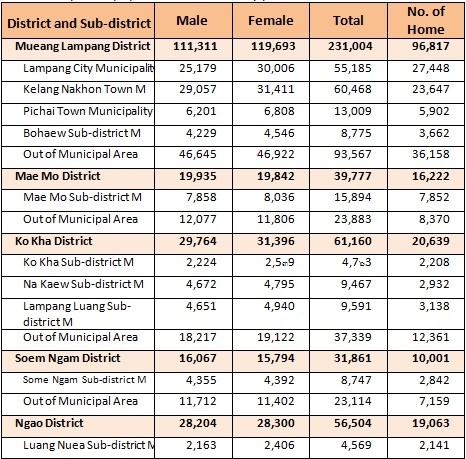 The center of the province is plain and basins along the river where is the important agricultural sources such as the area of Hang Chart, Muang Lampang, Ko Kha, Mae Tha, and Sob Prab district. The south of the province is the woods and some pastures such as the area of Thoen, Mae Phrik, some parts of Serm Ngam, and Mae Tha district. The area of the province is the basin which looks like the bottom of the pan so that the climate is hot and sweltered throughout the year. Summer is extremely hot and winter is really cold. The typical high temperature is 42.70 degree Celsius and the average low temperature is 10.5 degree Celsius. Rainfall is measured 1,467.80 millimeters. Thailand has a tropical climate which is divided into 3 seasons. humid and the hottest is April. The rainy season begins the mid of May. 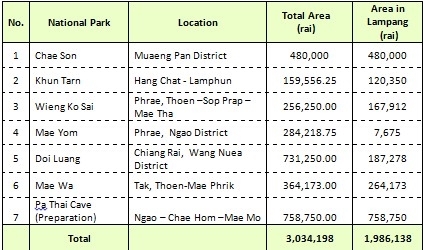 Forest resources Lampang Province has forest area separate into 33 Forest National Park, 6 Forest Parks, 1 Forest Park(preparation), and one of wildlife sanctuary as of the following details. 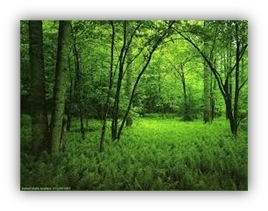 33 Forest National Parks with the area of 5,302,474.00 rai. 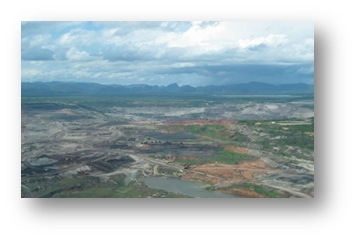 Lampang has 126 mining concession, 30 concession holders were classified by the type of mineral. 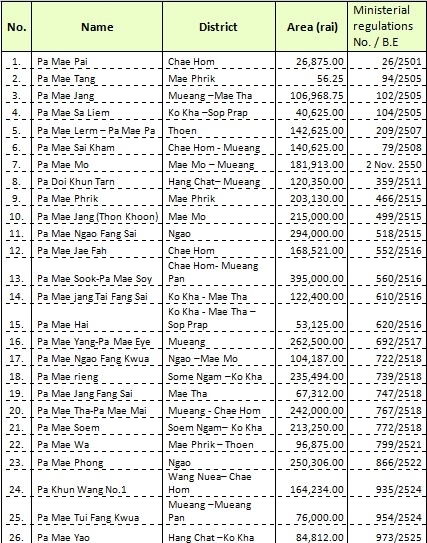 Data as of June 30, 2557 there are 110 plots of mining concession opening (26 owners) and 8 grinding mills or crushing plants opening of six factories. 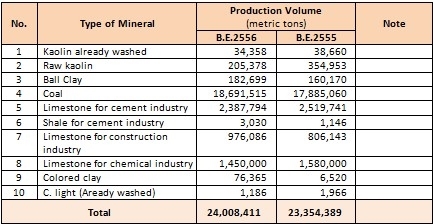 The total volume of ore produced in the year 2556, about 24 million metric tons. Most of mineral production was coal, followed by industrial rock and kaolin respectively.